Having recently relocated to Hong Kong, I’ve been homesick for Japan. And what better way to cure homesickness than with a good meal! 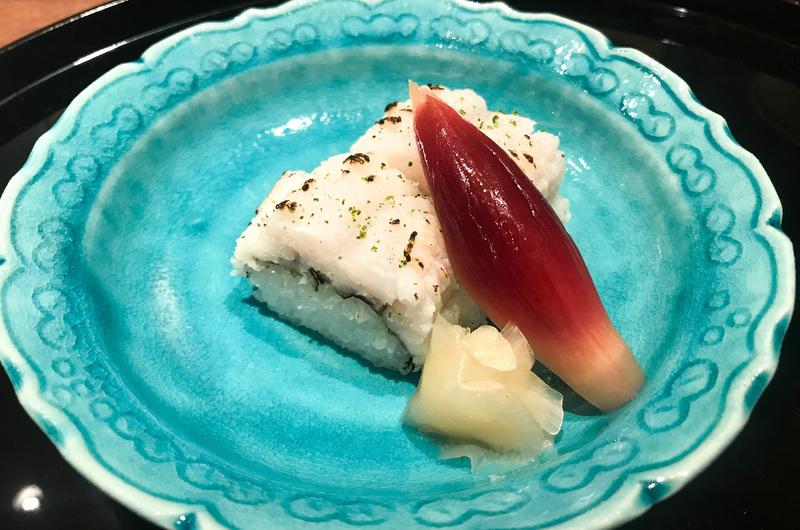 My husband and I were feeling kaiseki, a traditional Japanese meal made of multiple smaller dishes. 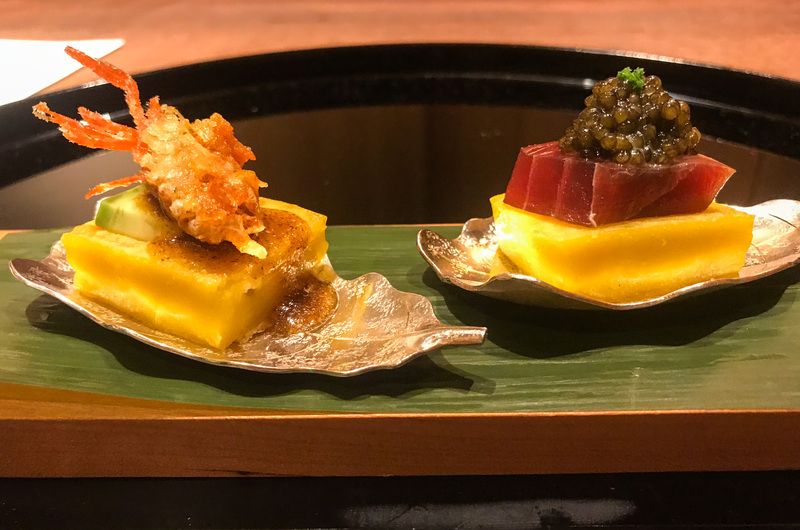 But where can you get an authentic Japanese kaiseki meal in Hong Kong? 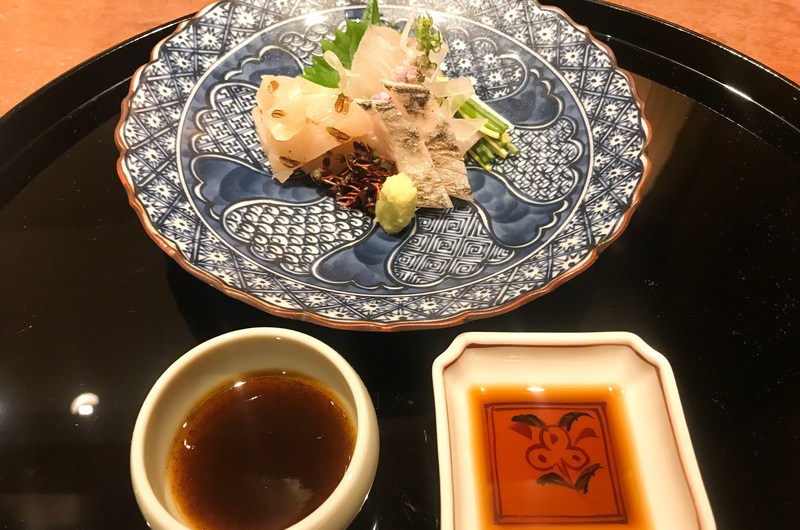 Turns out, you can get great kaiseki at Kashiwaya Hong Kong in Central. Stepping into Kashiwaya Hong Kong is like being transported to Japan. The restaurant features Japanese artisan-made sliding doors, sumi-e ink paintings, and wall art. 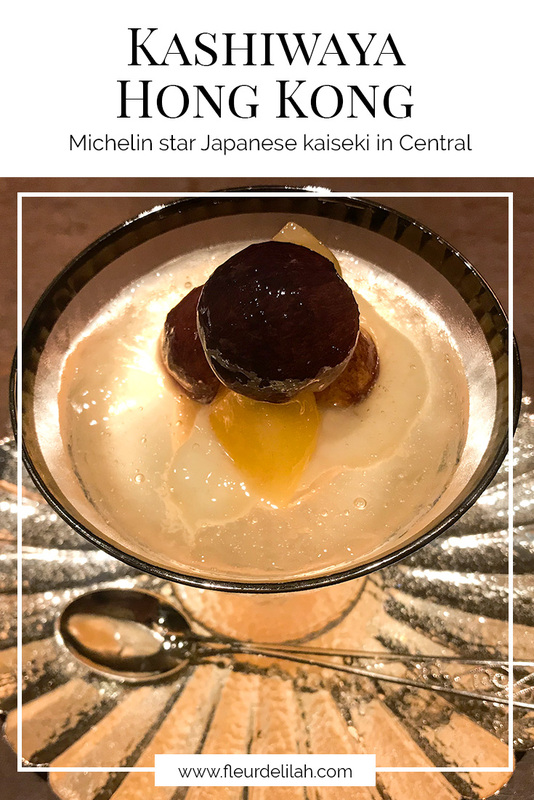 Awarded two stars by the Michelin guide, Kashiwaya Hong Kong is the Hong Kong branch of the three-star kaiseki restaurant Kashiwaya in Osaka, Japan. 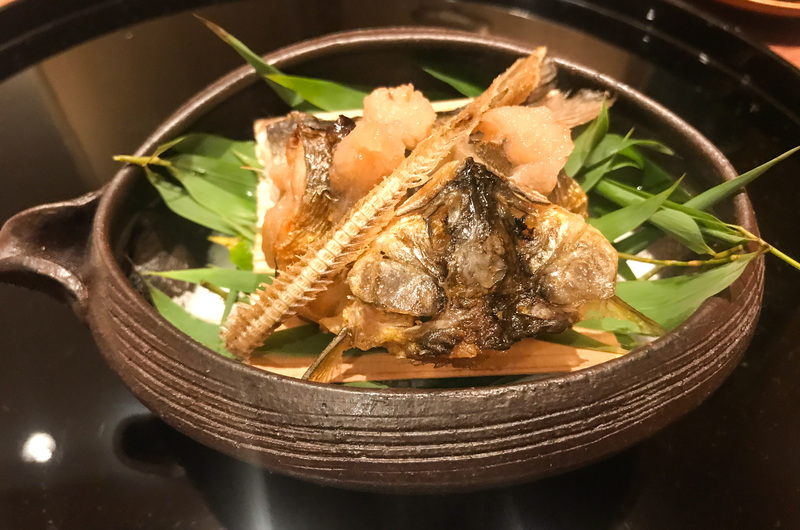 The Hong Kong branch opened in 2015 and is headed by Chef Atsushi Takahashi who worked at the original restaurant for 20 years. 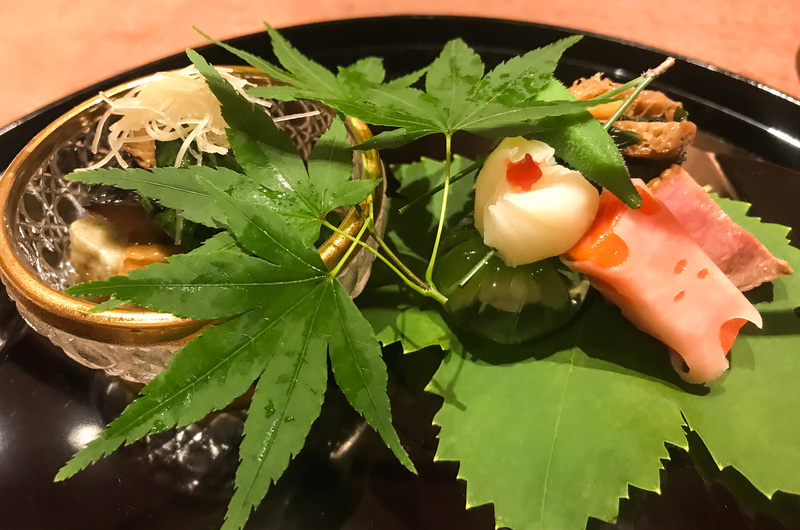 Customary in proper kaiseki, the menu at Kashiwaya Hong Kong reflects the seasons. 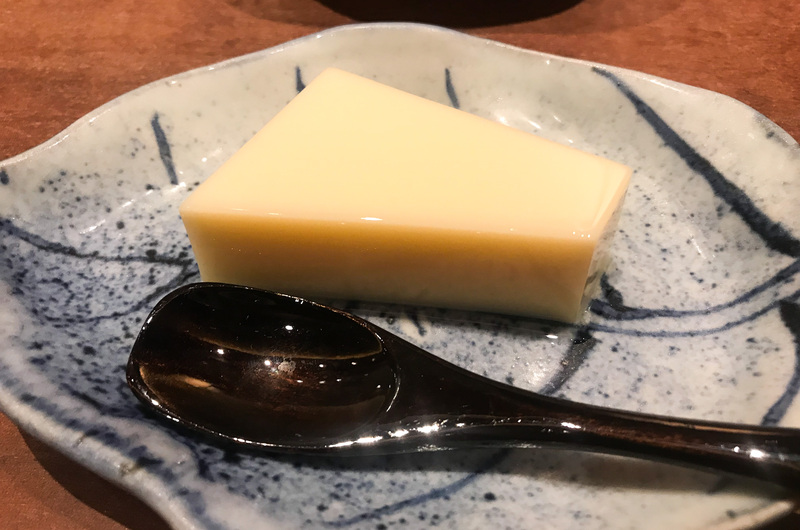 Ingredients are shipped over from Japan, and about 80 percent of the menu is the same as the Osaka restaurant. 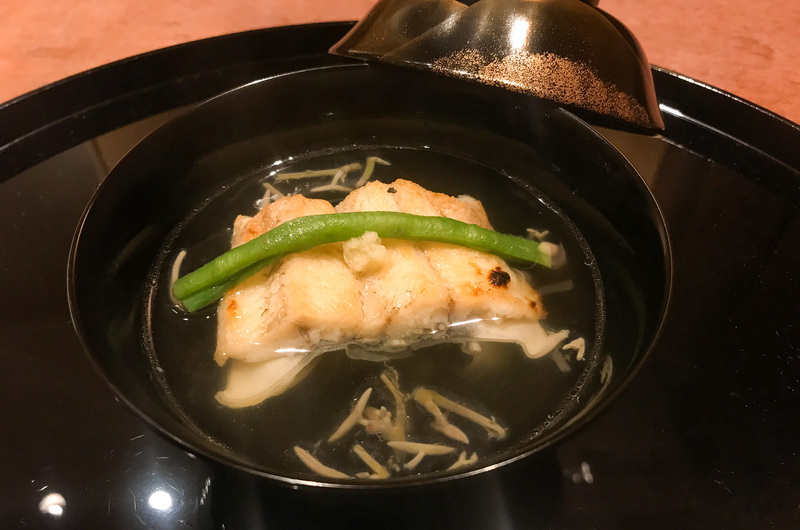 Kashiwaya Hong Kong offers one set menu at lunch (six dishes for HKD 680) and three set menus at dinner (starting at nine dishes for HKD 1800). 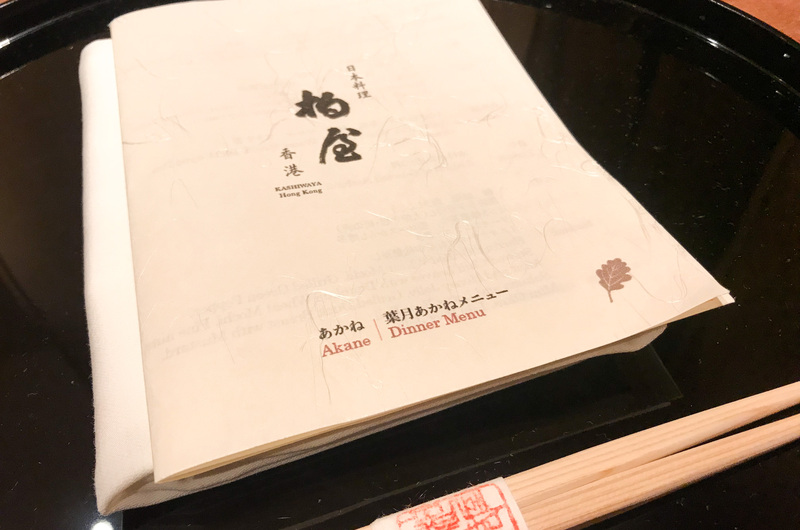 We went with the Akane menu, which has 10 dishes and costs HKD 2800. 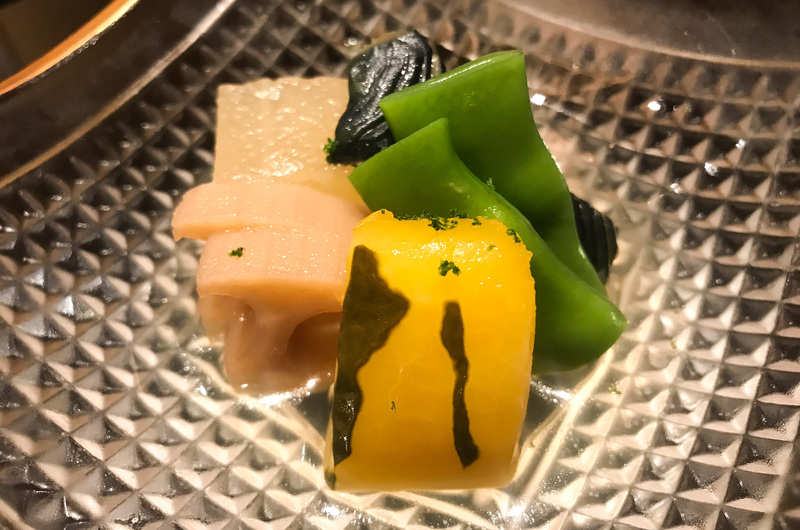 While six, nine, or 10 dishes may sound like a lot, keep in mind that kaiseki ryori is made of multiple small dishes. So, while you will be very full after 10 dishes, you won’t become a sumo wrestler after one meal. 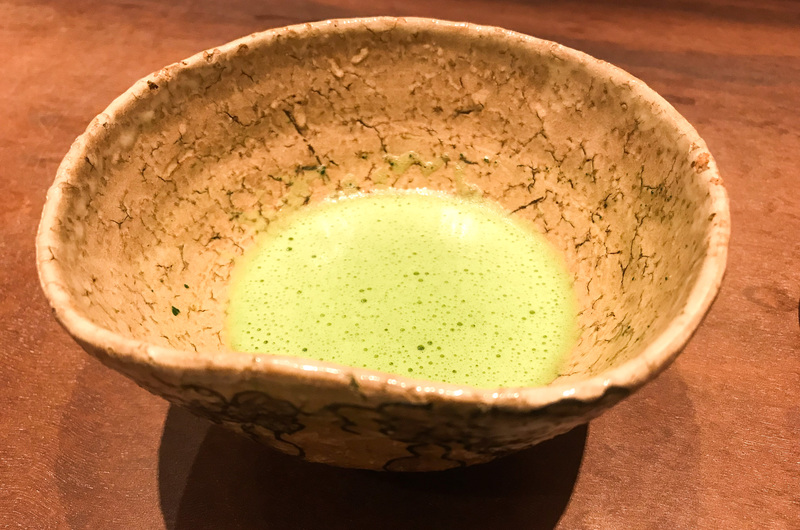 Kashiwaya Hong Kong is open for lunch from 12:00 to 13:30 and for dinner from 18:30 to 21:00. Advanced reservations are required and your menu choice is needed at the time of booking. Also, you will need to provide a credit card at least three days before your reservation or it will be cancelled. 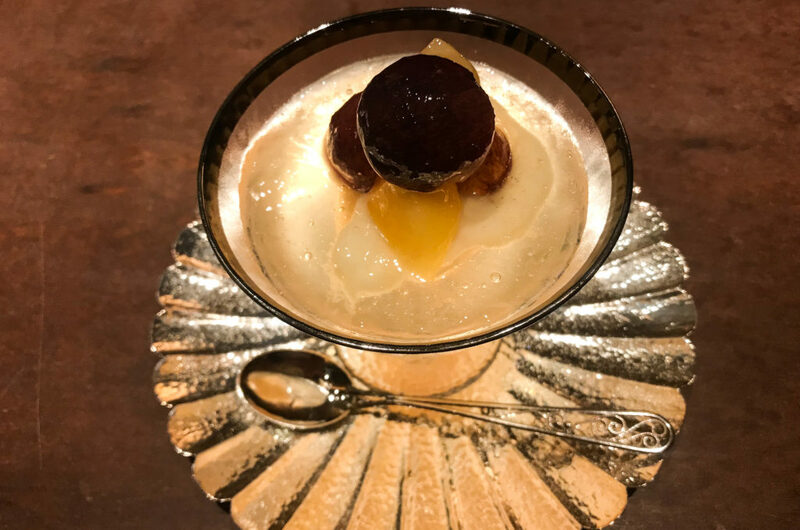 Want more mouthwatering Michelin star reviews? Sign up for the newsletter!